Sheldon van der Linde to be first SA driver to race in DTM! BMW Motorsport has announced that Sheldon van der Linde will make his DTM debut with in 2019, becoming the first South African to race in the German series. The SA racer – who moves from Audi Sport – will be 19 years and 356 days old when the season gets underway at Hockenheim on 5 May. “Welcome to the BMW Motorsport family, Sheldon van der Linde,” said BMW Motorsport director, Jens Marquardt. “It is great to have another talented youngster in our team. Sheldon made a fantastic impression at the wheel of the BMW M4 DTM at the Young Driver Test in mid-December. Prior to that, we had been following his career in GT racing very carefully. Van der Linde added that merely taking part in the aforementioned Young Driver Test was “a dream come true”. “To now have a place in the team for 2019 is incredible. I’m very proud to be continuing a family tradition from my father with such a famous car manufacturer, and one that is also very popular back home – and to be the first South African ever in the DTM. Ultimately, a big thank you to BMW Motorsport for the trust,” said Van der Linde. Like his brother Kelvin, who is three years older, Johannesburg-born Sheldon started his racing career on the karting scene at the age of six. Grandfather Hennie was a successful touring car driver, winning many titles in South Africa, while father Shaun tasted success in BMW touring cars in South Africa and in Europe. Their uncle Etienne also raced in various national and international series. Sheldon van der Linde moved into automobile racing in 2014 and won the South African Volkswagen Polo Cup at the first attempt. 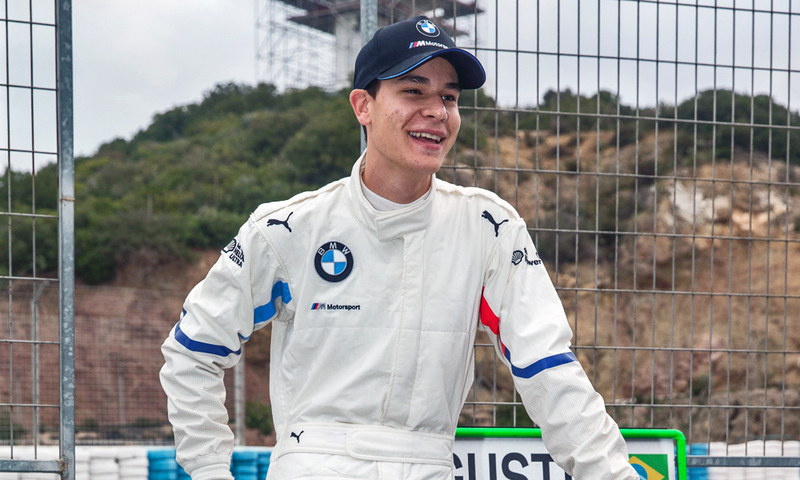 Fifteen at the time, he remains the youngest racing driver in South Africa to have won a national championship – a record held previously by his brother Kelvin and his uncle Etienne before him. Sheldon successfully defended his title the following year, before leaving his native South Africa and following his brother, who was already enjoying success in the ADAC GT Masters in Germany, to Kempten. After one season in the Audi TT Cup, with four race wins to his name, and one victory and third place overall in the 2017 ADAC TCR Germany, Van der Linde contested his first season in GT3 racing in 2018. Together with his brother, he claimed two race wins in the ADAC GT Masters, making a further four appearances on the podium and ending the year in second place overall, one point behind the champion. He also gained experience in the IMSA WeatherTech SportsCar Championship, where he took victory in the GTD class at the final round of the season, the “Petit Le Mans”. In the Blancpain GT Series, he and his brother finished third behind the two BMW teams of Walkenhorst Motorsport and ROWE Racing at the 24 Hours of Spa-Francorchamps. He was also awarded the “Sean Edwards Trophy” for emerging young GT drivers at the end of the season. Van der Linde will compete for BMW Team RBM in the 2019 season, joining Philipp Eng and Joel Eriksson. Bruno Spengler moves over to BMW Team RMG and will drive alongside Marco Wittmann and Timo Glock.